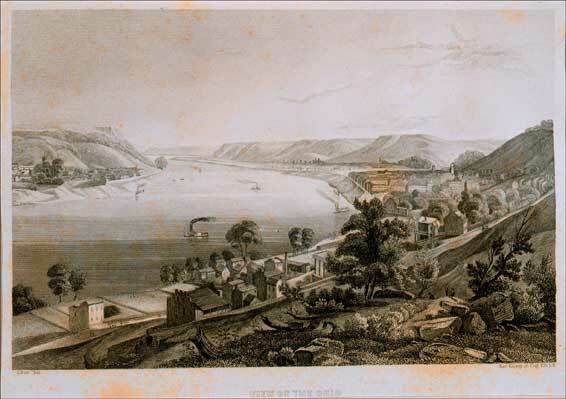 View on the Ohio [(Near Maysville, Kentucky)]. E. Bott, Delineator. Nathl. Kinsey, Jr., Engraver. Engraving. . 4.75 x 7&5/16 in (12.1 x 18.6 cm). Cincinnati: [Middleton, Wallace & Co., Printers]. Rare Books and Special Collections Department.